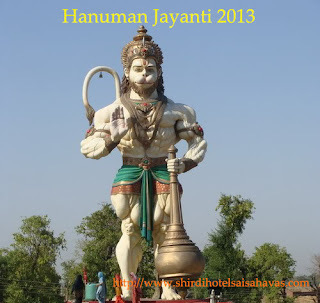 Hanuman Jayanti Utsav is the festival celebrated with great devotion throughout India to commemorate the birth of Hanuman the energetic god and ardent devotee of Lord Rama. It is celebrated every year on 15th day of Shukla Paksha during the month of Chaitra pournima, when devotees start visiting Hanuman temples since early morning. Hanuman Jayanti is celebrated as an important festival in Shirdi with great enthusiasm by thousands of devotees who reach this popular pilgrim place a few days ahead of the celebrations. Like every year his year Hanuman Jayanti will be celebrated on 25th of April in Shirdi. Hanuman is known for his great power, strength as well as his incomparable devotion towards Lord Rama; hence devotees perform pooja for both. Like every other major festival Shirdi is decorated in traditional way during this festival. Starting with an early morning Aarti the pooja is continued at the backdrop of Bhajans and Kirtans in the temple. Sai used to stay in the Hanuman mandir near Dwarkamai. This temple is cleaned and decorated few day’s prior this festival. The temple looks brilliant with the illuminations and the oil lamps lighted inside it. 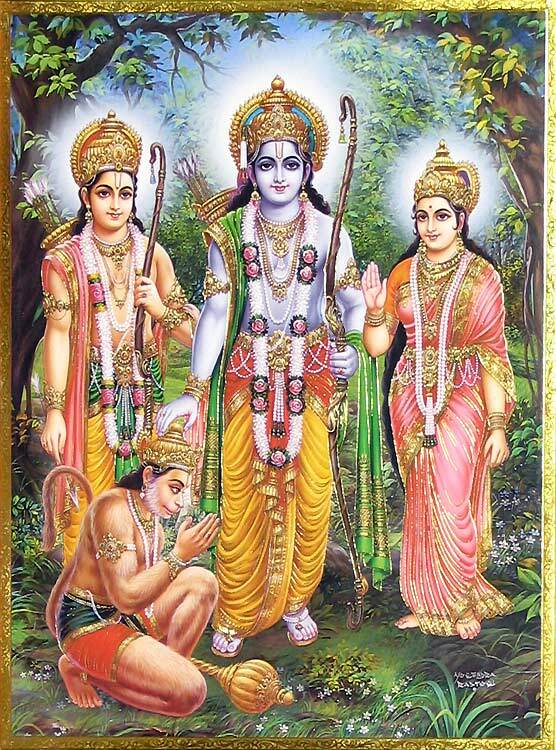 Many people show their devotion and respect towards the god by sitting in front of the temple and repeatedly writing Shri Ram and Jai Hanuman. Special group prayers are offered to Hanuman to get rid of evil spirits. Hanuman Chalisa is recited by many aspirant devotees in front of the temple. Apart from the celebrations in Sai Baba temple complex, Hanuman Jayanti is celebrated in all other Hanuman temples of Shirdi with great pomp and devotion. Festival time in Shirdi is the busiest time at this abode of Shri Sai Baba and people are flocking to Shirdi from many corners of India for getting blessings of the popular saint of Maharashtra on these auspicious days. This results in situations when means of transportation and accommodation in Shirdi are booked prior to the festival days. So it is advisable to book your accommodations in advance at one of the Shirdi hotels. You will be lucky enough if you are getting your accommodation in one of the hotels like hotel Sai Sahavas near Sai temple complex. This year Ram Navami one of the three important festivals of Shirdi in Maharashtra, will be celebrated with a great enthusiasm and devotion from 18th to 20th of April 2013. Thousands of devotees flock to this pilgrimage of attending the celebrations every year. Shirdi Sai Sansthan has already made necessary arrangements for the celebrations; still devotees are advised to be particular in making prior arrangements of their stay at Shirdi during this festival. Shri Ram Navami or anniversary of birth of Lord Rama the most important character of Ramayana is celebrated with great pomp and fervor throughout India. But the celebrations of Ram Navami at Shirdi are unique and identical. This festival in Shirdi was started in the year 1911 by Shri Sai Baba himself and the tradition of this unique celebration of Ram Navami is continued here by the followers and devotees of Shri Sai Baba till date. The celebrations of this festival at Shirdi are considered unique because Hindus and Muslims two communities with different faiths celebrate it together. It reflects one of the beliefs of the great Saint of Shirdi to respect all religions and help each other irrespective of religion cast or creed. You can personally witness this during the coming Rama Navami festival celebrations at Shirdi which will be lasting for three days. Shirdi has already prepared itself for the giant celebrations with beautiful illuminations of the temple and the surrounding area. People have already started pouring in Shirdi. The arrangements of accommodations are perfect, but if you are arriving without prior bookings then you may find difficulty of getting proper means of stay. We at Shirdi Hotel Sai Sahavas located in the vicinity of the temple try to accommodate visitors who are arriving late or those who come for a short stay.